Assisted living facilities are an ideal option for seniors that are looking to receive a measure of aid in order to go about their day to day living. The scope of this particular service is pretty wide, as it can stretch from preparing daily meals and helping them take medication to driving them around to handle various errands during the day. It should also be noted that these special services are not just reserved for those that need help completing various activities for daily living. Indeed, assisted living is a terrific option for those that want a break from having to handle home maintenance and would prefer to spend more time on enjoying the leisurely life of a retiree. Get Reviews, Costs, & Availability For Eligible Care Communities Near You. Assisted living in Sacramento checks in just below the national average. The 2015 Genworth Cost of Care Survey lists the average annual cost to be $39,000, while the U.S. average is $43,200. On a per month basis, this annual figure breaks down to $3,250 per month. If you look at things from a daily rate, the cost hovers around $107 per day. Assisted living is below the average range for home health care in Sacramento, which ranges from $53,768 per year for homemaker services and $57,200 per year for home health aide services. Assisted living is also substantially less expensive on average than nursing home care in Sacramento; the average cost for semi-private nursing home care in Sacramento is $94,535 per year, and the average cost for a private room is $150,836 per year. For qualified veterans and their spouses, further assisted living savings may be obtainable via the Aid and Attendance Pension Benefit, which can otherwise be known as the A&A Pension Benefit. This special benefit can provide a veteran up to $1,788 per month, a surviving spouse up to $1,149 per month, or a couple up to $2,120 per month. Furthermore, a veteran with a sick spouse that applies for the program is eligible to receive up to $1,406 per month. The process to qualify for the A&A Pension Benefit is relatively simple. Eligible veterans or surviving spouses of eligible veterans must show the need for help with activities for daily living, otherwise known as ADLs. Some of these activities include bathing, cooking, dressing, medication management, leaving the house for errands and appointments, and grooming. With that being said, seniors do not need to demonstrate that they need help for all of these activities. Aid and Attendance funds can assist in paying for ADL services in numerous places, such as an assisted living community, skilled nursing home, or within the confines of the senior’s own home. For those that are interested, it should be noted that the application process could take several months from beginning to end, but retroactive payments are sent upon the program’s approval. Sacramento, California is an excellent choice for senior veterans who are looking for assisted living facilities. First off, the average cost of assisted living in the area is way below the nationwide average and secondly, all assisted living communities in the state of California are licensed as Residential Care Facilities for the Elderly (RCFEs) and regulated with a robust body of regulations and laws that are designed to promote residents’ self-direction and independence to the greatest extent possible. The area also boasts a huge number of assisted living homes, including Sunrise of Sacramento, The Waterleaf At Land Park, Carlton Plaza of Sacramento, Brookdale Greenhaven, among others. What’s included in Assisted Living? Individual and/or private living rooms. These range from single to multi-room apartments. A common dining area where daily meals are served. Assistance with administration of medications. Regular health supervision and monitoring. Personal care services that include activities such as bathing, grooming, eating, among others. Basic utilities like electricity and water. What may be available for an extra fee? Some communities may also offer additional on-site perks that residents can pay extra to utilize. Typically, these perks can include private transportation, personal laundry service, beauty salon services, and massage sessions. Additionally, many seniors look for an assisted living service known as a continuum of care, which essentially describes a facility that can provide accommodation for residents regardless of what their specific need may be. Residents in these particular communities typically don’t have to deal with as many big moves should their health or daily needs shift, and they will also remain in a familiar setting even if their health dictates that they have to move to a different building within the facility’s complex. Prices on continuum of care do fluctuate based on the actual service that is needed. Veterans living in and around Sacramento and in need of medical help need to visit calvet.ca.gov for all veteran services/benefits, including housing, healthcare, VA benefits, education and employment. 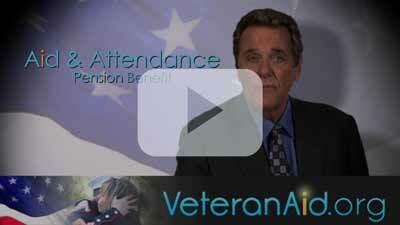 There are also a host of California Veterans programs that you can benefit from. Are you a woman veteran? There are a lot of opportunities for women veterans including employment opportunities, entrepreneurship opportunities, advocacy and assistance for women veterans, women’s health, and a lot more.